Following on from yesterday's post about Bearwood's first social media surgery welovebearwood have got another first for you! Wow! We do spoil you! Rachel (one of the Crafty Muthas) whose amazing cakes sell out in seconds at all the Crafty Muthas fairs has teamed up with Richard, a professional chef, to host Bearwood's FIRST EVER supper club on Saturday 26th May. We just love this idea so we caught up with Rachel to find out more about this gastro treat! We heard about supper clubs before but didn't know how it worked so Rachel explained that "basically it’s going back to the traditional roots of restaurants when people served well cooked, good food in their homes. It’s like the opposite of Macdonald's !! Supper Clubs are also known as Pop-up restaurants or Underground restaurants and they are taking London and New York by storm. There are a few in the West Midlands and the phenomenon is spreading throughout the UK. 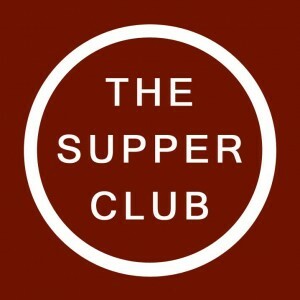 The link below takes you a webpage where you can find more information on supper clubs.... http://supperclubfangroup.ning.com/". Wow! This sounds just what Bearwood needs so we asked Rachel why they wanted to start the Supper Clubs. "We have a profile on the webpage above but we haven't yet added any content as we want to wait and see if this idea takes off first. Initially, we invited only friends and acquaintances to the first one but as lots of our friends seem to be busy that weekend, we have decided to open it up to all you Bearwoodians! Given that there is so much excellent community spirit within Bearwood at the moment, we feel this is the perfect time to venture into this concept as it is very much ‘keeping it local’ and we would source the food from local suppliers as much as possible. Part of the attraction of Supper Clubs are that you get to meet interesting new people, so if you would like to come along but you don't have a friend to come with you, don't worry! You will meet, eat and drink with different people and chances are you'll know someone else who is coming anyway! " The first Supper Club's on Saturday 26th May. "Anyone who has eaten at my home in Bearwood, or sampled any of my cakes (I am the Crafty Mutha who sells cakes at the Bearwood Handmade Fayres), will know that I take pride in cooking good food, and Richard has trained as a professional chef and we share a passion for food. We can serve up to 20 people and you can expect a 5-6 course meal served over a good 3-4 hours with background music, atmospheric surroundings and plenty of chat." 5-6 courses....amazing! What's on the menu? We feel hungry already so Rachel teased with the fact that "the desserts will be a complete surprise so you won't know what you're getting until the night itself!" "If there is anything you simply cannot eat, please let us know and we will endeavour to offer an alternative. Also, if you really haven't got a sweet tooth or hate deserts, let us know and we may be able to offer a small cheese board as an alternative." The evening is priced at only £25 per person. Much cheaper than going to a posh restaurant in town and we bet that Rachel and Richard's food will be much tastier and you won't have to worry about getting a bus or taxi home. If you are interested in coming along, then please respond by 20th May to rachelgandolfi@hotmail.com with any questions or you can PM her (Rachel Gandolfi) on Facebook and she will give you the payment details. Your confirmation, plus times and the address will be sent once payment is received. There will also be a competition held where you can win a free sitting at the next Supper Club event! Love it! Rachel explained that "there are a few ‘Do’s and Don’ts’ to hosting (and attending) a Supper Club. It’s kept quite secretive as it is a pop-up business, but we both have Food Hygiene Certificates and Public Liability Insurance. It’s illegal for us to sell alcohol so it’s important that you bring your own and bring enough! There will be a complimentary welcome drink though and the off-licence is not far if you run out!" A complimentary drink.....as well! Make sure you don't miss out Bearwood - get your booking in today! Rachel's last words to welovebearwood were "so, all that remains for me to say is that I hope you find the concept of bringing a Supper Club to Bearwood as intriguing as we do and that you will be able to join us for the opening night of R & R Supper Club." P.S. Coming soon Rachel's cakes (have a sneaky peep at her yummy cakes below!) and details of the Grocery Club! See if you can spot us around Bearwood! This blog is for everybody who loves Bearwood. Please email us at welovebearwood@googlemail.com if you would like us to post anything about Bearwood. Bearwood's Jubilee Family Fun Day! Bearwood's First Social Media Surgery! Bearwood's Diamond Jubilee Street Party! The views expressed by our contributors are their own and not necessarily those of the welovebearwood blog.